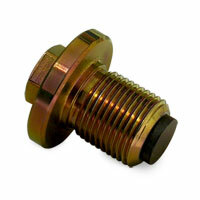 Dodge Turbo Diesel engine oil drain plugs are known to develop fractures. Although the design is good - a flush plug that gives maximum ground clearance - the thin shoulder of the plug can give-way if torqued too tight. Torque specification problems are created by confusing information in the "real world." (The correct torque for the Dodge plug is 40 ft. lb., for a Cummins plug in otherB-series engines, the torque is higher). We were fortunate to have a customer write in and send us a product that he manufacturers to solve the thin-shoulder problem. To remove the plug, use a 9/16" hex-head wrench. Use a 40 ft.lb. torque specification for this plug. This is a very high quality part. Machining and threads are perfect. 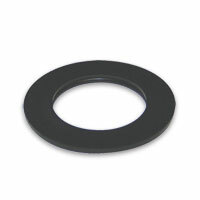 Replacable washer makes a leak proof seal a snap. My only suggestion would be to stamp or laser etch the torque spec on the top surface of the hex. I know that is going to add additional cost to the part but its nice to know how tight a fastener should be from the manufacturer. high quality. the threads have no dings or flat spots. the plating is uniform , no shadow in threads. this is an item produced with quality assured. I was going back and forth about doing the plug or one of the drain valves. I went with the plug because "sometimes they get it right the first time" not saying the valves aren't good...I just would feel better with a plug... quickly shipped and great quality compared to the oem plug...magnet is strong enough that stuck to the side of the fridge. This is what cummins should use on there pickup sized engines. 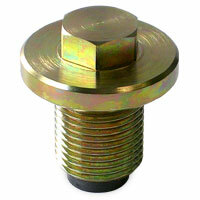 Replaced drain plug with Geno's new machined drain plug, it's nicely made and has a magnet. Plus the replaceable gasket will be easier to maintain be replacing it every annual service. Y'all sent the wrong plug but I got on the phone and y'all got the right one to me in a couple of days with no fuss and no questions. Excellent customer service and I always try to order from Geno's when I can. Have installed the plug yet due to it not being time for an oil change. Good quality and seems to be leaps and bounds better than the factory plus you get the added peace of mind with the magnet!